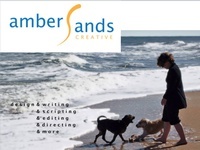 AmberSands Creative will design your ad, craft your article, script (and direct) your spot, edit your writing, help with your online campaign, tweak your branding, assemble your brochure, manage your photo shoot.... We'll do it fast and with a minimum amount of fuss, because we've been doing all these for a long time and we're good at it. Lorraine Berry... Widely published writer (The Guardian (UK), Salon, Marie Claire, Redbook Online, Talking Writing, Good Housekeeping Online, LitHub, Signature Reads, Raw Story, Diagram, etc. ), editor, researcher, and blogger. 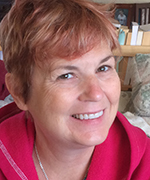 Lorraine taught creative nonfiction and magazine-writing courses at the State University of New York (Cortland), and - with ''Writing in the Sand'' - continues to conduct writing workshops for groups of any size. Rob Stiene- Award-winning designer & writer, copywriter, reporter, TV commercial producer, and freelance creative director. 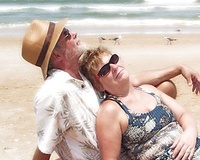 Past VP of one ad agency, creative director for two, with extensive experience in healthcare and financial marketing.